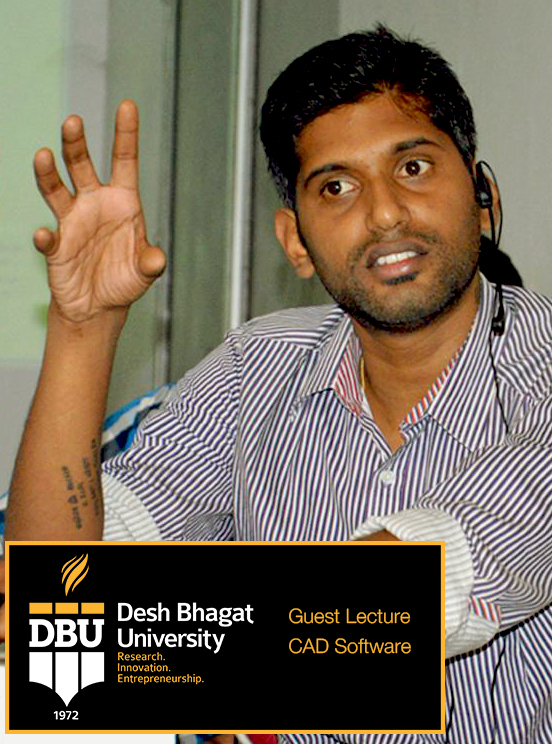 Desh Bhagat University Faculty of Design organised a Guest Lecture on use of CAD software in the fashion industry and academics, under Industry-Academia Interface Series. A large number of students from the departments of Fashion Technology & Design, Fine Arts and from Animation and Multi Media attended it. The key-note speaker on this occasion was Mr. Jince (Support & Training Head at Techno Piece Solutions, Hyderabad), who has a long experience of training about this software and his presentation covered various aspects of garment manufacturing process in the industry. While interacting with the students, the learned speaker explained to the students & the faculty members how beneficial this software could be for Garment Pattern Making, Fashion Designing, Jacquard Designing, Embroidery Designing, all kinds of testing instruments for fiber, Yarn and Fabrics etc. This software has given the new dimensions to the designing industry and students can create countless designs with the help of this software. The demand of CAD experts is very high in industry and most of the manufacturing companies are now equipped with this software. 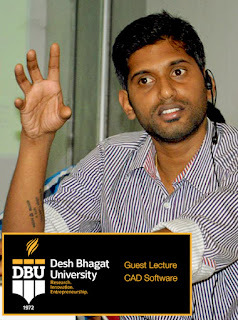 He also shared some important tips about the handling of this software and also his experiences with the students. The lecture was followed by a range of queries put forward by the students to which the learned speaker aptly replied. The students were quite happy to attend the lecture and expressed the view that the session was very informative. They thanked the university authority for arranging such a knowledgeable event and said that it has added several important things about the use of CAD software to their knowledge. University Chancellor, Dr. Zora Singh and Pro Chancellor Tejinder Kaur expressed the view that the University aims to make the students prospect industry ready. They further articulated that such events are very useful for their multi- dimensional growth. Giving details, Vice Chancellor Dr, Shalini Gupta stated that the programme was arranged under Industry-Academia Interface Series, which the university has started recently and the main focus of this event was to equip the students with technical knowledge of CAD software and its working. At the end, Registrar Dr. Virinder Singh thanked the learned speaker and hoped that the event will prove quite useful for the students and to the faculty members as well.